The flow distributor system developed by FloCEP® combines two patented elements of the PROmotion technology platform. One technology application pre-conditions the feed flow so that it becomes well mixed (pseudo-homogenous) then the second element works within the cyclone cluster to create the conditions required to distribute the flow evenly while in this uniform state. The combination of these two technological applications result in the optimal conditions for production operations involving mixed multi-phase flows. 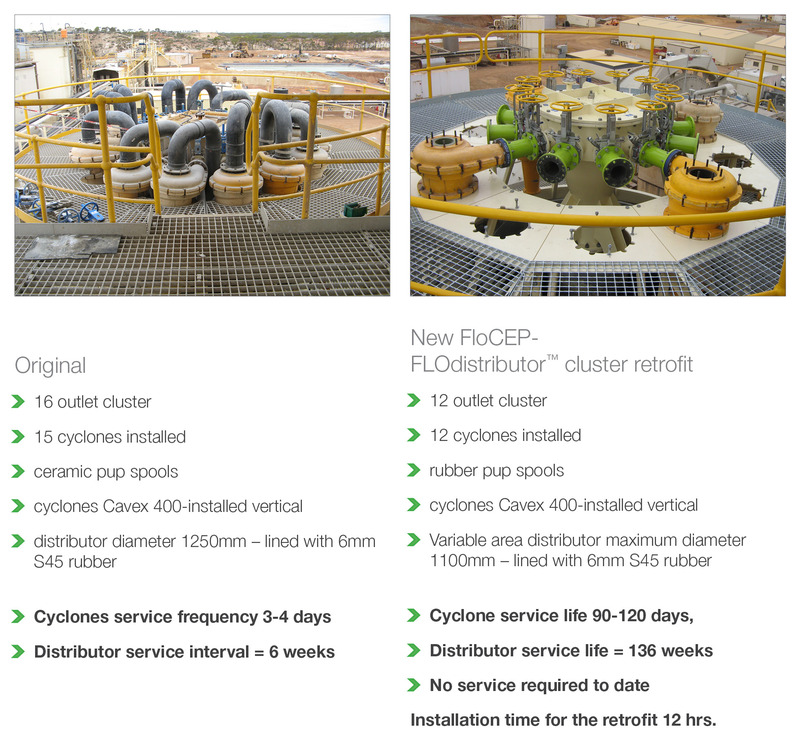 Unlike conventional feeders, the FloCEP® Flow Distributor ensures that two critical parameters – flow and density – are significantly more even for every unit within the cyclone cluster. The result is that the cluster operates as designed. This directly results in improved plant efficiency, reduced operator intervention and increased plant availability as each individual unit in the cluster wears at the same, predictable rate.